Those of you who have followed my writings will remember that I was a staunch Bernie Sanders supporter throughout the Democratic primary. Not so much because I was enamored with Sanders, but because I harbored such grave reservations about Hillary Clinton and her husband, former President Bill Clinton, that Sanders provided the only viable alternative. Indeed, the most viral article of mine last year from The Hill was the one where I made the case for Clinton’s indictment not out of emotion or blind love for Sanders, but because my experience as a former prosecutor and long time criminal defense attorney led me to believe that the facts led to probable cause. Alas, Clinton was not indicted and more crucially, Sanders lost the primary. Was his loss fair and square? It seems not, however, upon his concession, I decided to vote for Clinton not because I was enamored with her as a person or her politics, but because I felt that Republican nominee Donald Trump was too ill-qualified, too ill-tempered, and too ill-mannered to serve as President of the United States and that she was the better choice to at least keep America out of nuclear Armageddon. 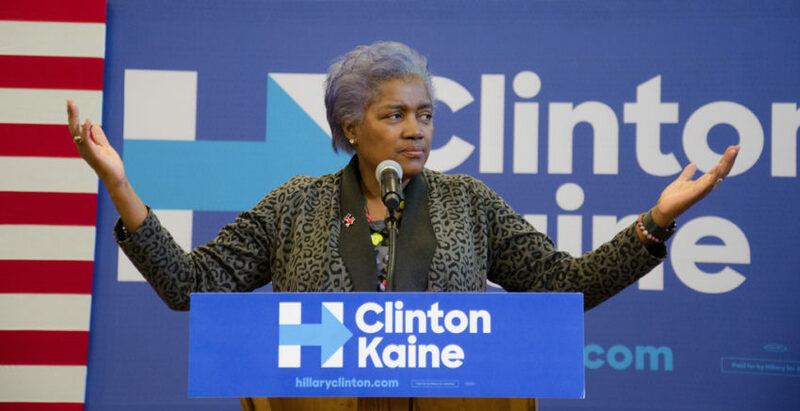 While I question Brazile’s motives (clearly she is trying to sell books to get paid in full), the deeper analysis this morning is that corruption hating Democrats need to look into the mirror just the same as corruption hating Republicans (stop laughing, they do exist) and address the “elephant” in the room and the stubborn “donkeys” who believe that the patrician class and politically elite SHOULD be allowed to play by a separate set of rules from ordinary Americans. Faux populism is the bane of both parties, as time and again the people are duped into believing that political candidates truly will advocate for altruistic interests as opposed to purely selfish goals. For me, while I have been a Republican and a Democrat and am convinced that another saying, that “right-wing and left-wing are all a part of the same bird,” is true, the idealist in me has to believe that there are enough Americans of intelligence and good conscience who can see that the Trump campaign colluding with Russian operatives to influence the 2016 election was deplorable, but so, too, was the Democratic Party tipping the scales to one candidate because of the emotional sentiment that it was “her time.” Yes, one is far more dangerous in that it deals with a foreign government who has in recent history been a bitter enemy, but the latter is problematic because from poll taxes, to literacy tests, to grandfather clauses and shenanigans great or small, we should be able to trust that our political apparati are free from internal corruption. Lest we forget that many Americans swear oaths to defend our nation from enemies “both foreign and domestic” and as we move forward into 2018 and 2020, if Democrats do not come to grips with how Bernie Sanders was screwed out of a fair chance because the Establishment liked his opponent better, the pathway back to prominence may be fraught with unimaginable difficulties.